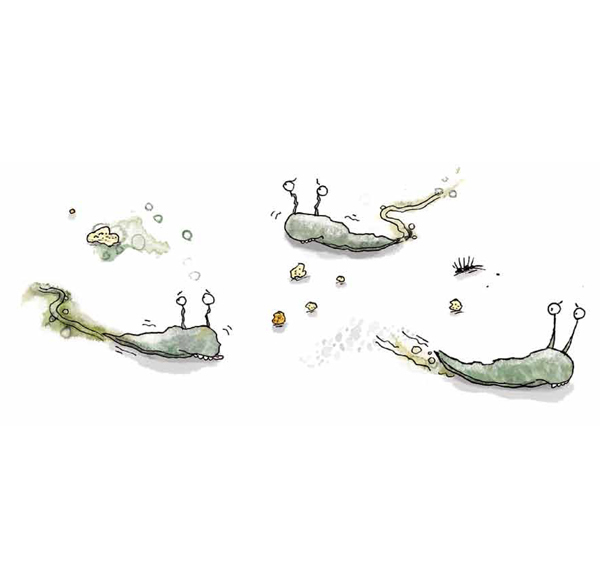 Do you like slimy slugs…in your stories that is? For the last few days, my children have reminded me how much they love reading about yucky things. 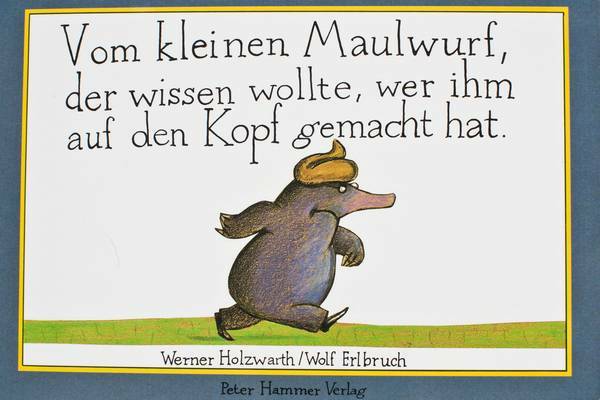 Alice Bell has a brilliant post on poo books that I suggest you have a look at if you’ve ever wondered about the why of poo literature. I have already written a couple of posts on poo literature myself, so you may be thinking; what?! Another post on poo?! Not quite. I will spare you and focus on a slightly different topic today, but expect a gruesome (and slightly delayed) French Friday that will no doubt include the p word this week end. 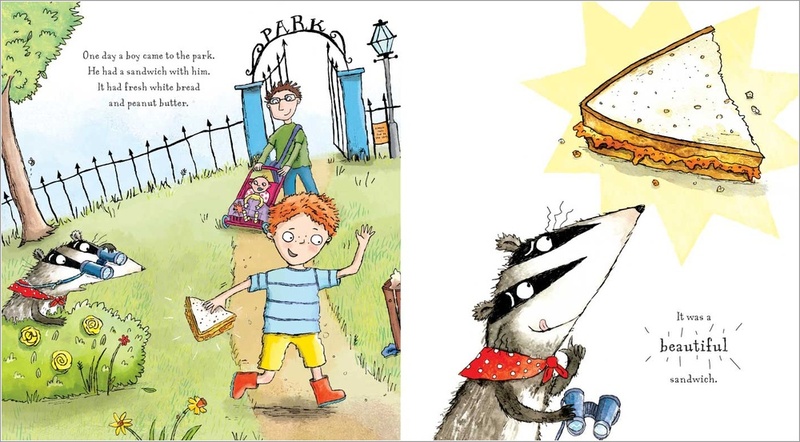 Gareth Edwards’ and Hannah Shaw‘s The Disgusting Sandwich starts off with on the one hand a boy going to the park with a truly beautiful sandwich, and on the other hand a very hungry badger salivating at the sight. But almost as soon as the little boy gets into the playground, a girl bumps him and his sandwich falls in the sandpit. Does he apply the 2 second rule? No! This may be because the girl tells him: “Well you can’t eat it now. It’s disgusting!” or maybe because he has experienced the unpleasant grittiness of sand on food before, we don’t know. 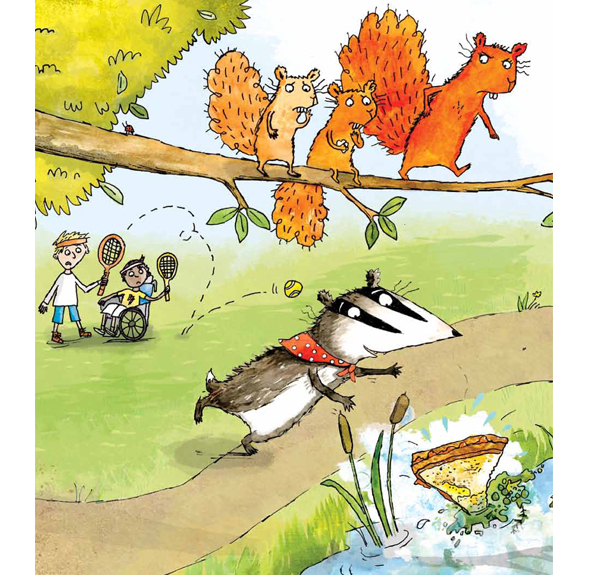 But from then on, we follow the sandwich as well as the badger who is trying to catch it. Before he can grab it, the sandwich is picked up and discarded by a squirrel, a frog, a crow, and finally a fox. And every time the sandwich gets dirtier and more disgusting until it is “covered in sand and smelly green goop and big squish marks and hundreds of ants and grimy old feathers and slippery slime and oozy grey bubbles”. But the badger is still ravenous, his tummy still rumbles and his hunger has to be satisfied, so guess what he does? I’m not going to say! All I will say is that my kids love this slimy and yucky ending. The repetitive pattern and lines, the funny faces the animals make, and the yucky, slimy sandwich are winners with both my children. Almost every single time we’ve read this book, we’ve discover new details about the park, its inhabitants, and those who use it daytime or nighttime. 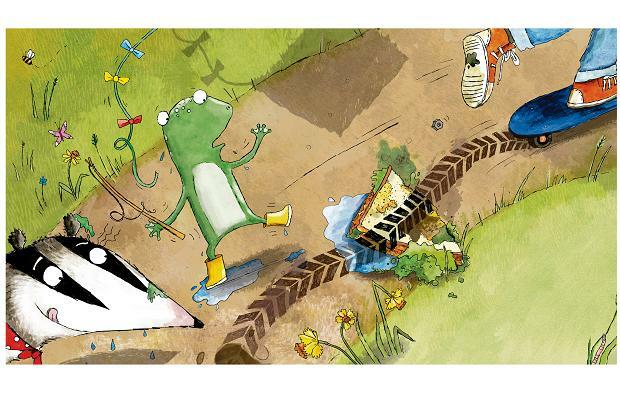 From the yellow wellies worn by the frog to the little boy in a wheelchair playing tennis, it abounds in fun details. If sandwiches are your thing, go and see this post which gives you additional reading suggestions including a great pop out book I did not know about and ideas for activities! And for a bit of drawing and assembling, download this activity sheet by the illustrator to make the squirrel’s sandwich or make a beautiful sandwich truly disgusting!